While owning an iPhone is something to be proud of, don’t flash it all over the place. Keep it in your pocket. 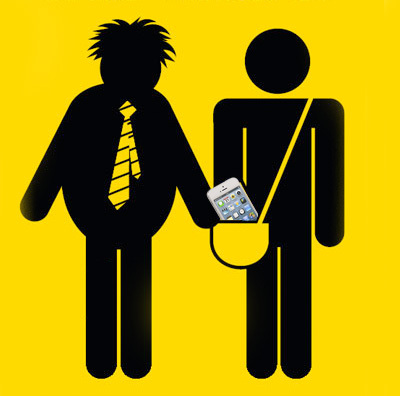 Don’t use your phone in places where it’s most likely to be stolen. Bus stops, the subway, libraries, street corners, etc. And for crying out loud, don’t put it down somewhere and walk away! (You wouldn’t believe how many people do this.) It’s like leaving your car running while you dash into a store. Of course it’s going to be gone when you come back out. And don’t leave any electronics (iPhone, iPad, MacBook) in plain view in your car. That’s just begging to be stolen. But there are more preventative measures you can take, and you can do any of them right now. Write down or record your iPhone’s Serial Number and IMEI number. They’re a big help when reporting a stolen phone, basically IDing your iPhone like a fingerprint. 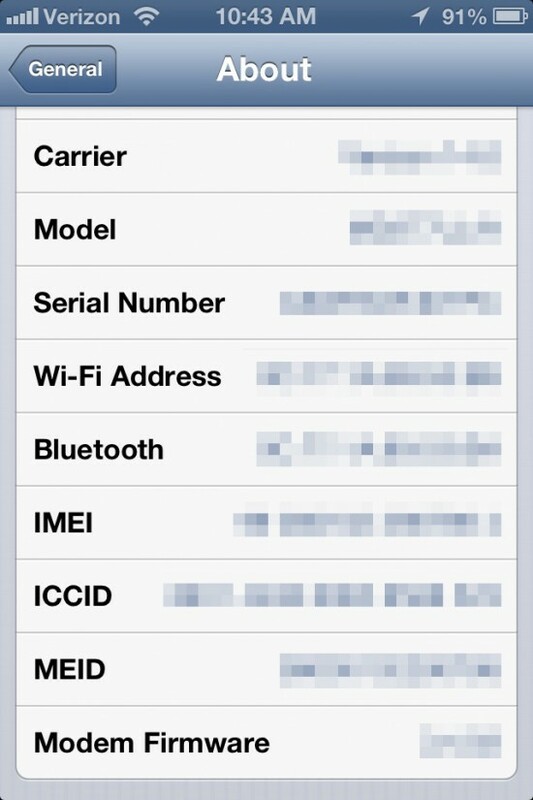 Some iPhone models have the IMEI model engraved on the back of the device, but many do not. Both numbers can be found in your phone’s settings. Just open the Settings menu, click General, and then About. They’re both listed on this screen, along with several other numbers unique to your phone. One easy way to record your ID numbers is to pull up the screen described above, scroll down a little so that both the Serial Number and IMEI number are visible, and take a screenshot (press Power button + Home button at the same time). 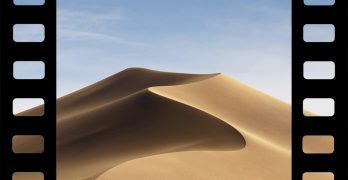 If you have iCloud enabled, the screenshot will be automatically sent to your other Apple devices. 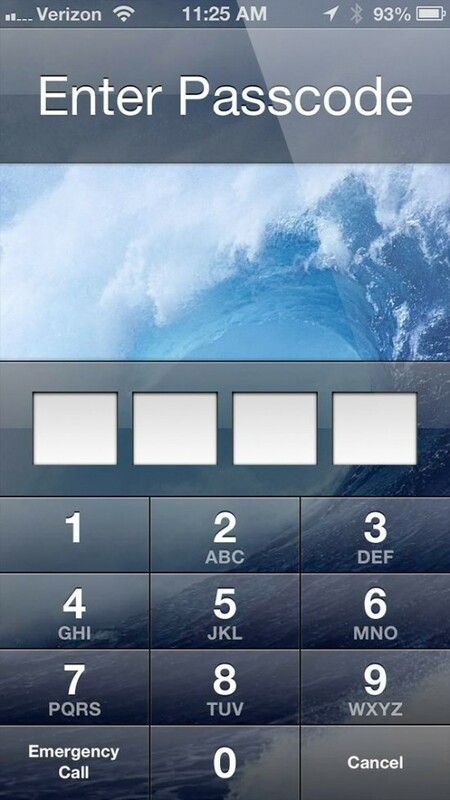 Every iPhone has a built-in security feature called Passcode Lock. Lots of users have this feature enabled already, but for those who don’t: Go to Settings > General > Passcode Lock, and tap the slider to turn it on. It will ask you to set a 4-digit passcode number, just like your PIN number used at the ATM. 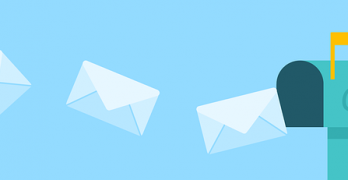 Some people use the same PIN number for everything to keep it easy to remember — and often it’s a birthday — but if you want to be really smart about your security, pick a new 4-digit number that’s different than anything else you use. Make sure it’s different than your house address or your anniversary or the birthday of anyone in your family. If someone swipes your iPhone and discovers the Passcode Lock is activated, they’re going to try the numbers most obviously associated with you first. Make sure you’ve got iCloud activated on all of your devices, and then download Find My iPhone (unless you already have it). FMi can do a lot more than just find a lost or stolen iDevice, although it’s very useful for that, too, pinpointing your phone’s location with some pretty amazing precision. 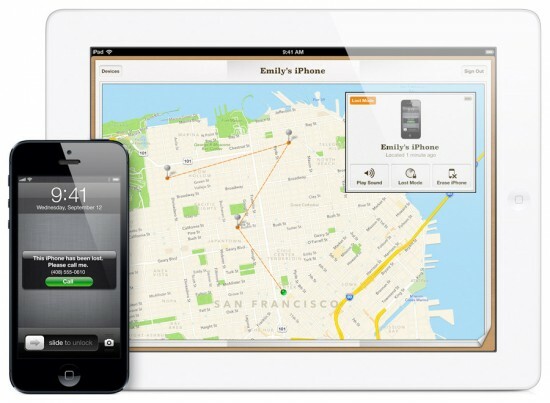 What’s great about FMi is that you can use it to find your iPhone from any other Apple device you own. Don’t own another iDevice? No problem, just point your web browser to icloud.com. As long as you’ve activated FMi on your iPhone, the app works like a homing beacon for your phone. Not only can it find your missing device, it can lock down your iPhone so no one else can use it, or even erase all of the iPhone’s data. So what if a thief gets into your iPhone and deletes the Find My iPhone app before you even realize your phone is missing? Any thief with half a brain will almost certainly do this. Fortunately, you don’t have to stand for it. Go to Settings > General > Restrictions and tap Enable Restrictions. This prevents anyone who doesn’t have your 4-digit passcode from adding, deleting, or changing any of your apps. There are other options such as Prey that offer similar services, but since FMi is free and works just as good (if not better) than any other service, there’s no good reason not to use it. There are also accessories like Nio, which creates an “invisible chain” between you and a tiny keychain tag (via GPS proximity alerts). It sets off an alarm when your iPhone gets too far away from you — and you get to determine the length of this “chain.” One popular third-party solution is GadgetTrak, which lets you remotely track your iPhone with a stream of GPS data, IP addresses, and more. It even takes photos of the thief with your phone’s front-facing camera. Most wireless carriers, such as AT&T and Verizon, offer insurance against theft. Some insurance agencies, such as Worth Ave Group, also offer insurance for theft. If you’re serious about security (and money is no object), insurance can provide the ultimate peace of mind. There are all sorts of sneaky ways you can disguise your iPhone if you’re paranoid about that morning commute. This tiny notebook secretly stashes your iPhone inside. You could buy yourself a new shell case that makes your iPhone appear to be something else, like a cassette tape. 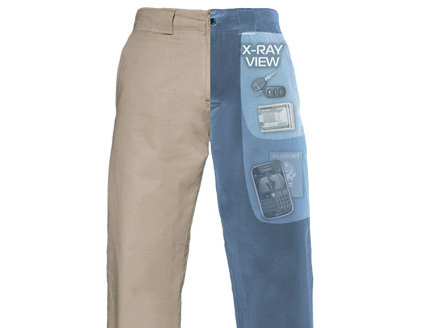 Smartphone security has gotten so serious these days that there are even specialty clothes you can buy to hide your gear. Scottevest is a clothier that makes an entire line of apparel with hidden pockets inside. Another manufacturer makes a bra that has hidden pockets that are perfect for hiding your iPhone. When iOS 7 arrives this Fall as a free upgrade for iPhone 4 and up, it will be harder than ever to use a stolen iPhone, thanks to its new Lock Screen and Activation Message functions. Rumor has it that a future version of the iPhone will come with a fingerprint sensor, allowing only the owner to unlock it, which would add a powerful new layer of security.